As low as $10.44 after coupon and 15% S&S, so just $.44 a pack! Grab these now as these are great for Easter baskets! I grabbed a box to have on hand for an Easter egg hunt. 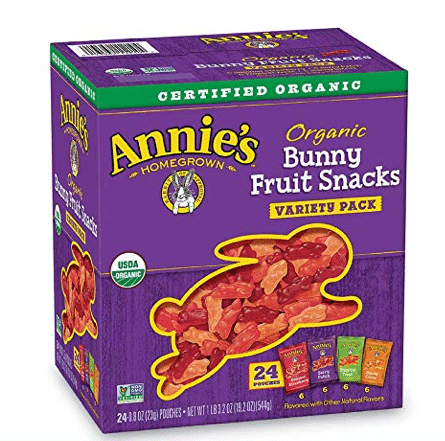 Target sells 12 ct. packs of Annie’s organic bunny fruit snacks for $7.89 for a box of 12 ($.66 pouch), so this Amazon price is a great deal!